Climate change affects our oceans, and us, in so many ways. As our atmosphere heats up, our oceans take the majority of the hit. 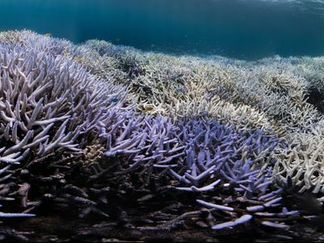 This causes coral reefs, one of the most vital habitats, to die due to coral bleaching. Marine life is also moving to colder regions as their previous homes are now much too hot. These changes detrimentally impact the food web, indirectly affecting thousands of sea and land species, including humans. 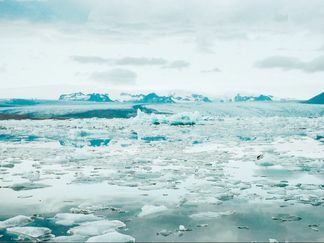 Ice sheets are melting, causing sea levels to rise. This is flooding our coastlines, harming important ecosystems and cities. It also speeds up saltwater intrusion, making our water less drinkable. My name is Kiran Garewal, and I am a member of the founding Heirs To Our Oceans chapter in the San Francisco Bay Area. I am focusing on the impacts of climate change on our oceans, so I made this microsite to educate people about these problems and solutions. If you have a suggestion of something to add to the site, want to let me know if you liked it, or just want to learn more, write me a message here or email me at kiran@heirstoouroceans.com.